Here we have a case that has been kindly provided and well documented by the patient himself and which is our pleasure to exhibit. 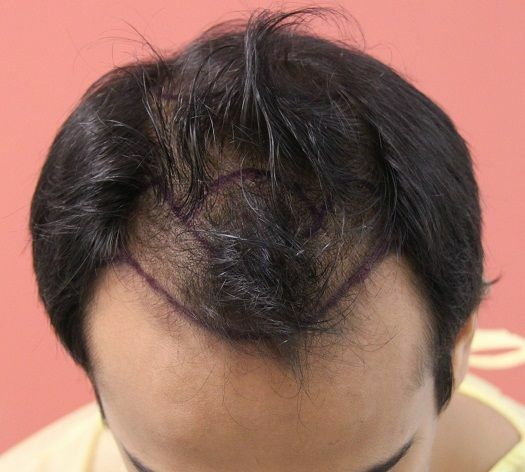 Patient underwent 3,833 grafts split between the frontal third and also to the crown area. 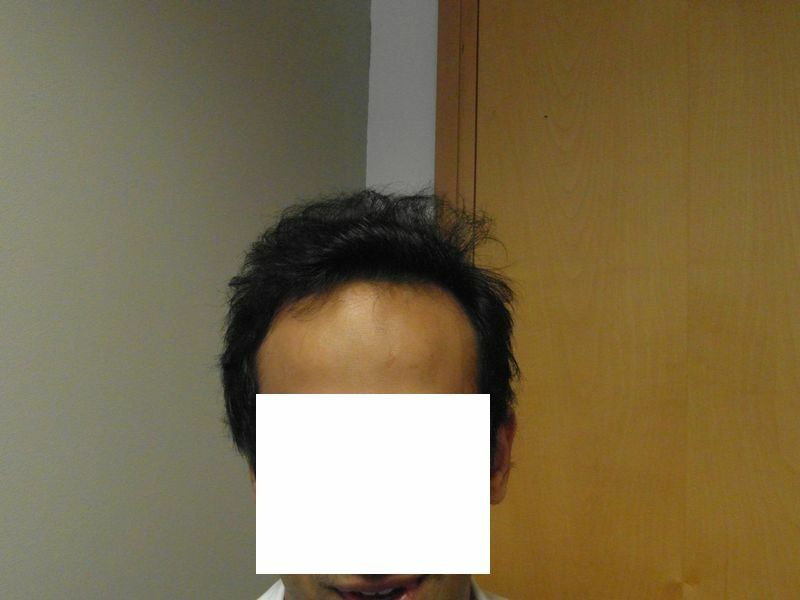 I first started experiencing hair loss in my early twenties (28 now). 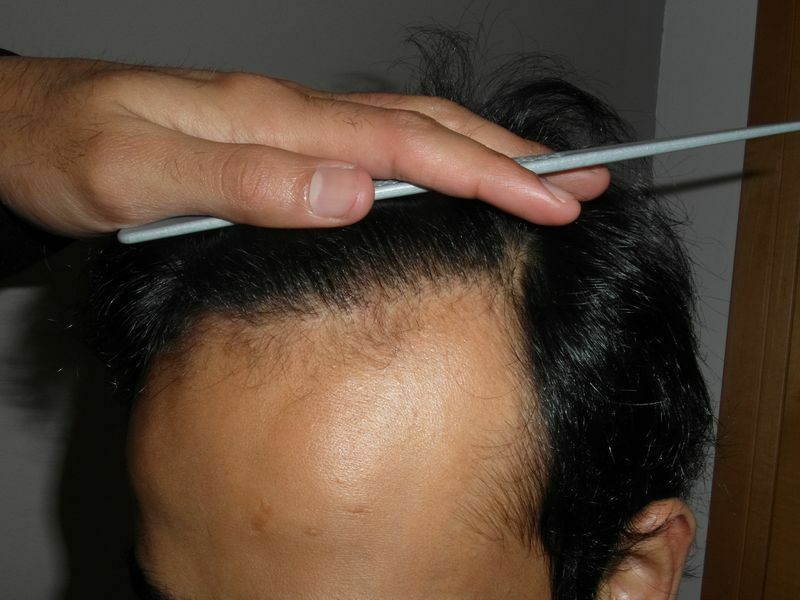 I have a naturally high hairline but when I look back at those pictures of my ‘youth’ I was blessed with plenty of hair in those days which allowed me to have my preference of longer hair which I like to play with the most. 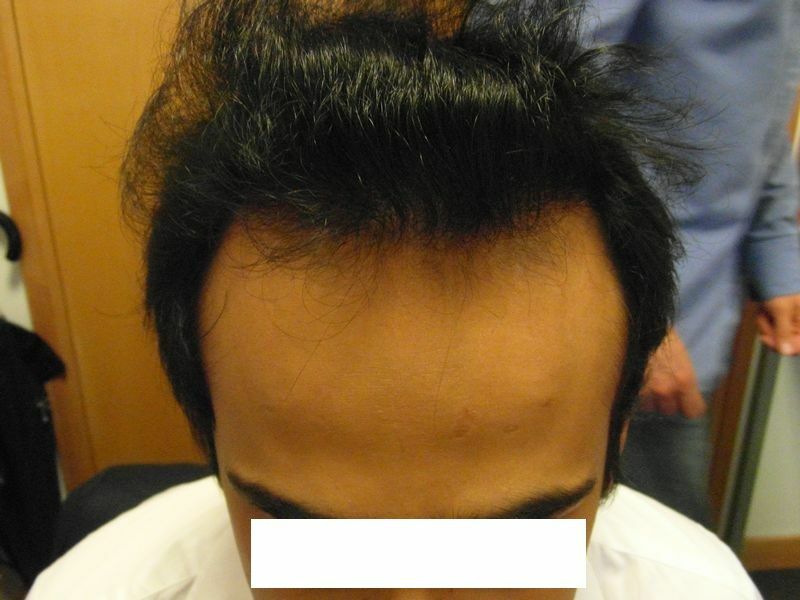 The recession of the hairline became noticeable first with establishing peaks and then the thinning of the hairline itself. It was a niggle on my mind but nothing more. It was easily disguised with longer hair and I still had good density of hair on my crown and this still allowed me to retain a look I felt confident and happy in – ah the vanity. A couple of years ago, it became more than just a niggle. 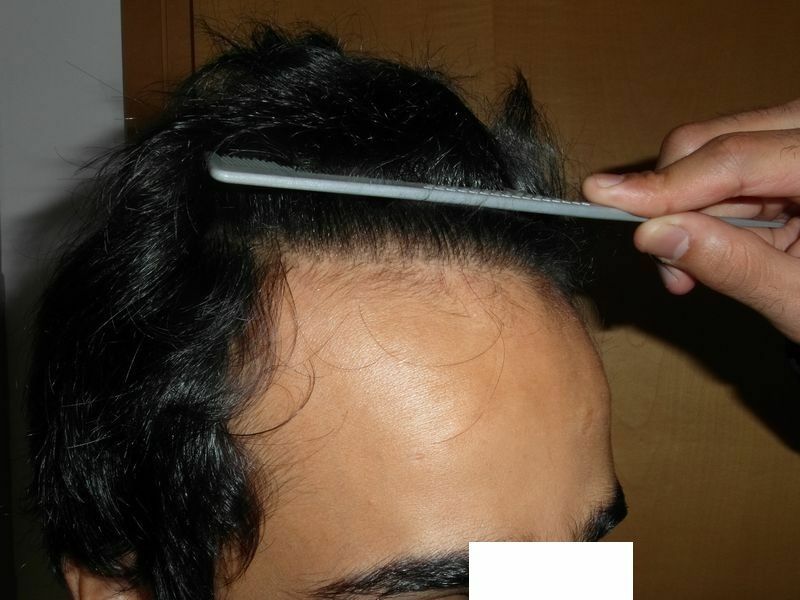 The hairline had now become very thin, I was losing hair on my crown and the peaks were very prominent. I no longer liked photos being taken of me. 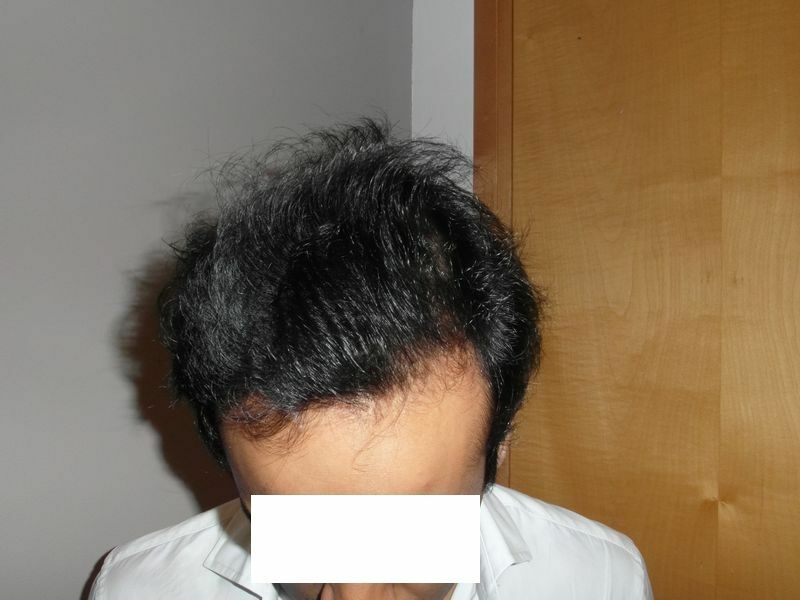 I began taking Propecia and using Minoxidil but this was a half-hearted attempt and with no rigour. 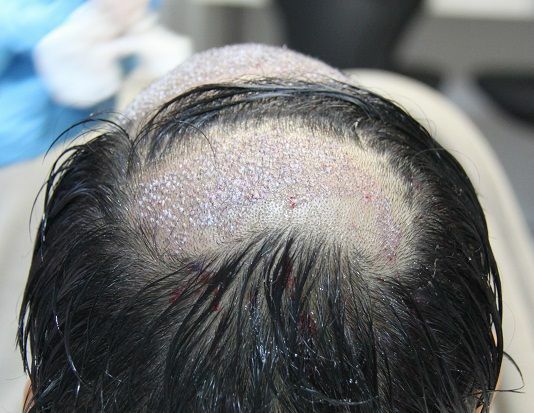 I never really had faith in these products or any product that claimed to restore hair loss. 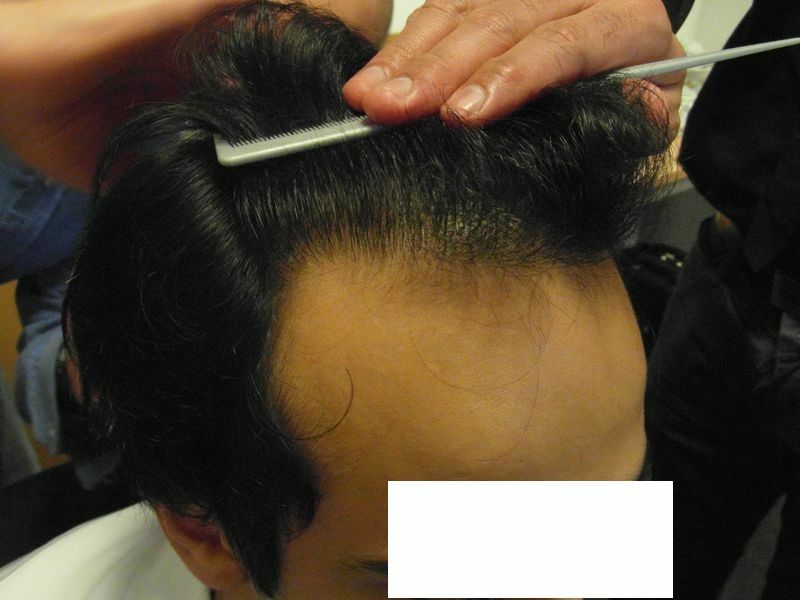 However, Propecia did work for me for in stabilising hair loss with no noticeable side effects but my hope for growth was dashed. I made my expectations more realistic for this product and continue to use now not hoping that it would grow hair but rather keep it. 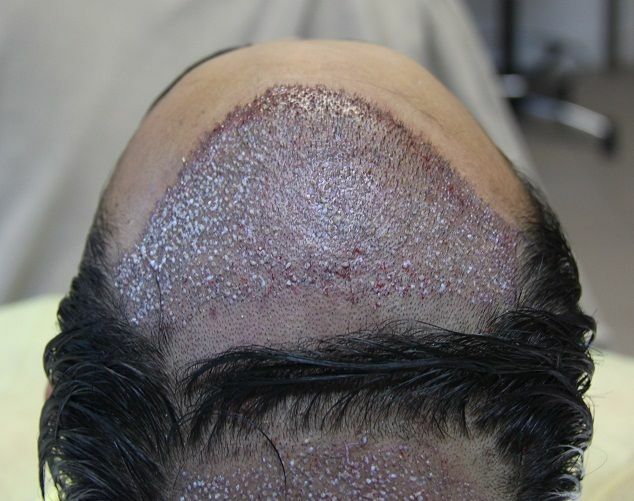 I began looking at hair transplants Christmas gone. I discussed it with my girlfriend and brother and researched the best surgeons and clinics. I was not going to risk a poor op with such a personal and visible procedure. BHR was consistently highly recommended on forums by other patients and so I took the plunge and sent off the consultation email in early May to which Stephen @ BHR responded to in a matter of hours. 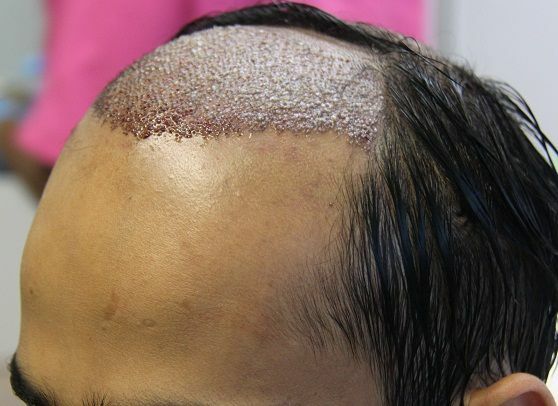 He suggested up to 4,000 grafts split as 2,000-2,500 grafts for building the hairline and 1,000-1,500 for the crown. At the time, this was more than I expected but we exchanged further emails over a week and I made the decision to proceed, taking the first available date at the beginning of October. I have to say that communication with the clinic is impeccable; Steven was and is my advisor and buddy throughout the whole process from initial consultation to now. I had many questions pre and post op, I always got a swift answer and I felt really well looked after. I arrived in Brussels the day before the op and had a cheeky half pint which the good doctor reprimanded me for on the day of the op. Other than that, I followed every other pre-op request to the letter; no caffeine, no aspirin etc. I also chose the Catalonia Forum Hotel as base. I would recommend the hotel too, it is so very convenient for the clinic and is clean and comfortable. The food is awful though! I was very nervous the night before and arriving at the clinic. Coincidentally, I arrived at the clinic the same time as Dr Bisanga who immediately put me at ease. He and his team are very friendly and you know the moment you meet him that you are in a pair of safe and confident hands. From this point on, the experience of the procedure at the clinic really shows, everything is perfected and you feel really comfortable and safe. Once changed into the medical gown pre op pictures were taken and Dr Bisanga reinforced the design sketches with markers. 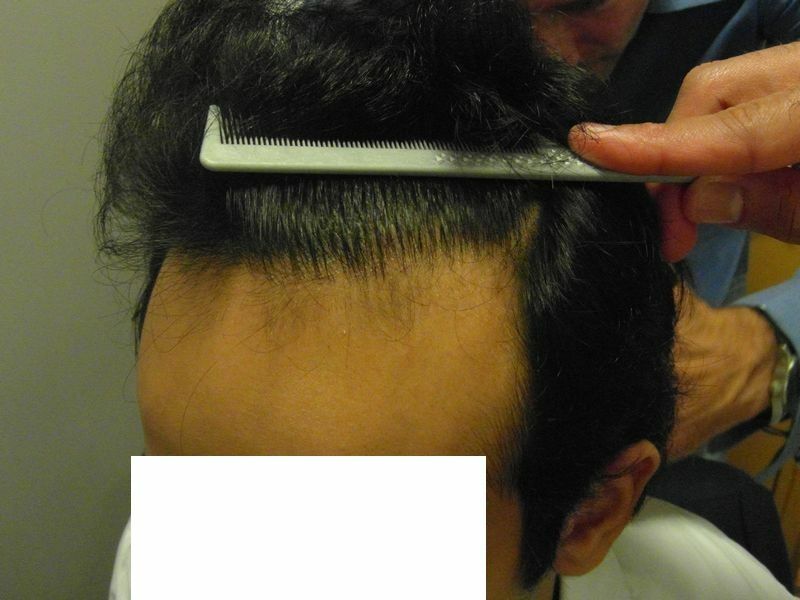 The Dr then prepared the donor and recipient sites with his trusted clippers, his not a great hairdresser! I was then made comfortable in the operating room in what could be best described as a dentist’s chair. 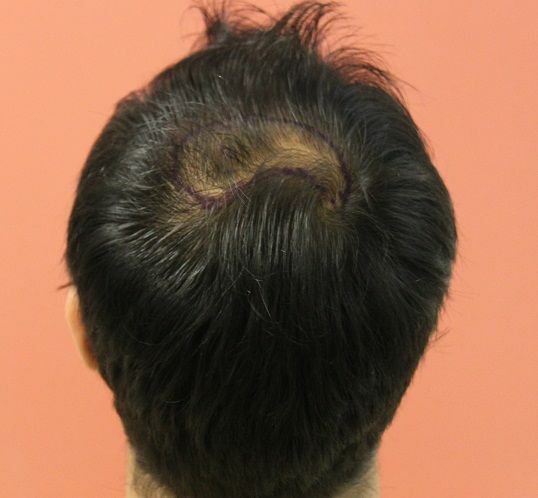 The op itself is divided into four parts; the morning session that lasted from 8.30am to noon and consisted of applying the local anaesthesia, removal of the strip and making incisions to recipient areas; and the afternoon session from 12.30 to 6pm when the grafts were placed. The anaesthesia was the worst part of the day; it can be very painful especially when the first injection is applied on a new area. The nurses were compassionate and patient which helped a lot. Rihanna songs tended to lift everyone’s mood with impromptu karaoke but best to be braced and prepared for a painful and lengthy ordeal. It does take a while to get the whole area done but once it is done I really didn’t feel a thing. Except for the occasional pang of pain that is quickly addressed throughout the day with a quick top up of anaesthetic. The strip removal is fairly swift and I did not feel any pain. What I did feel was the pressure but this had no negative impact on me. What I didn’t like was the process of the incision itself as it does make a very unpleasant sound. The strip was removed by Dr Bisanga before he stitched the wound. Once the stitching is all complete you do feel the stretch across the face, I imagine it is a bit like a facelift. The technicians take the strip, I recall 6 technicians in total and they started preparing the grafts under microscopes. 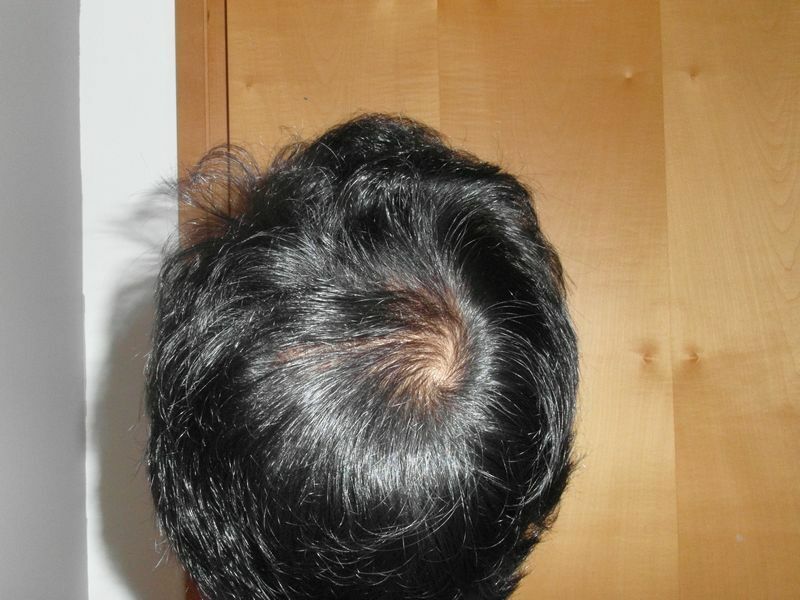 Dr Bisanga remained focussed on my head and made the incisions for placement. 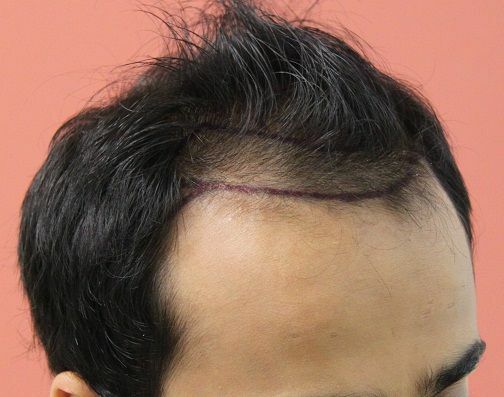 Post lunch, the grafts were all placed in my head. I have to say it does get very tiring by the end of the day. It is a very long time to be stuck in one room staring at one place but it was by no means awful, I was prepared. I even remember falling asleep for a while! The grafts were all placed by three technicians at a time and there was a rota so the technicians got a break too. Dr Bisanga was always at hand checking and directing and I always felt safe and well looked after. The technicians were fantastic and very friendly and caring. There was a slight hiccup at the end, where I had more grafts than incision and so more incisions had to me made. No complaints The whole operating procedure ends with an optional painkiller injection in the bottom. My advice would be to take it, it is wonderful! Great night sleep! Post op consultation was with Phil where the documentations and hints and tips were gone through in great detail. Post op pictures were taken and I was given a bandanna to wear around town. The first night was fine, I slept very well and caught the Eurostar back home the next day with no problems. The second night was not so good; I accidentally scratched a couple of grafts out in my sleep. This was not pretty. 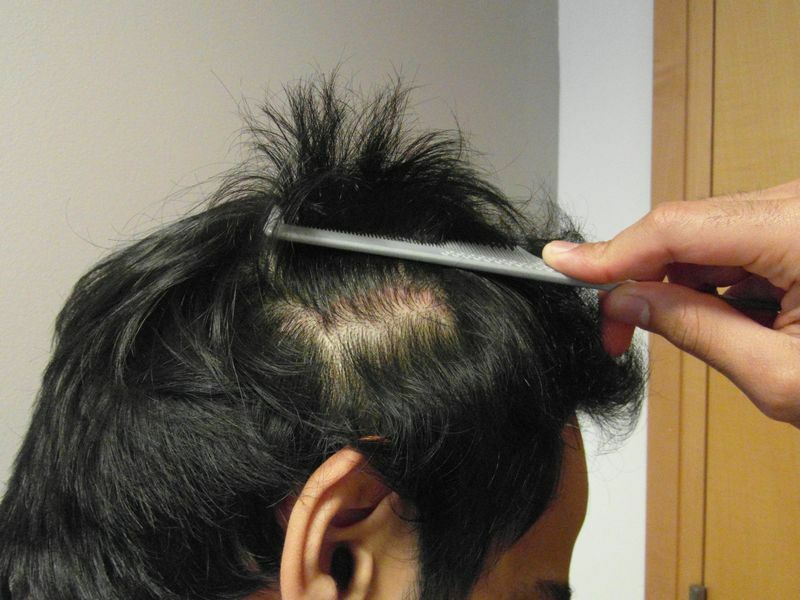 I lost quite a lot of blood and was very emotional about losing grafts. I had humanised them and so I cried a little bit!! I emailed Steve at 2am and he responded at 4am, that was so helpful. Thanks Steve that mail helped me so much! After that, I took Nytol for the next four nights and tied my hands to the bed. There was no sequel to that horror thank god. My girlfriend was great too helping me mist the area with saline every couple of hours and washing my head. I always try to eat healthy and very active but paid even more attention during the last few weeks with lots of fruit, nuts, lean proteins and plenty of fish. I also supplemented MSM, boosting vitamin c and taking multi vits and calcium. I really feel this helped me. A lot. Kept me upbeat and I had no infections and have seen great growth from the incumbent follicles to help get rid of the shaved head. One thing I will mention is the swelling, it was immense for me and I looked like a balloon for almost a week. I could not go outdoors in this period and did feel poorly but I think that was more to do with looking at myself in the mirror. The suture was removed at my local A & E on day 10. I don’t know why I bothered with going to the GP first, and the day was a boring 5 hours to get stitches removed. The hospital was bamboozled as to how to remove them so I had to mail Steve who advised the doctor as to how to remove. Incredible. Although the hospital was very impressed with the stitching and confirmed the wound was healing nicely. I am almost 3 weeks post op now and the scar has not infected and continues to heal very well. Some scabbing remains on the scar but on the whole I am very happy with the precision and cleanliness of the work. I had my hair cut by a hairdresser 2 weeks post op and that felt great, to be able to style hair again. After about day 11, the scabs from the recipient area all shed at once. 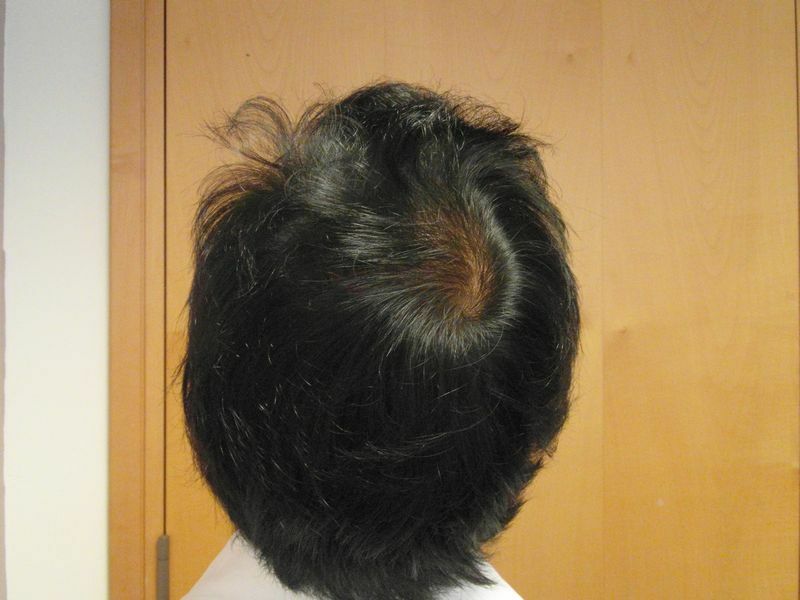 I feel I am now at the stage where anyone who doesn’t know me will have no idea of the hair transplant. I couldn’t be happier with the outcome and whilst it has been a testing few weeks, it has been thoroughly worth it. I have not one bad thing to say about BHR, Dr Bisanga, Steve, Phil and the rest of the team who have helped me and kept my experience pleasant and I am so grateful for their help and care. Thank you! !